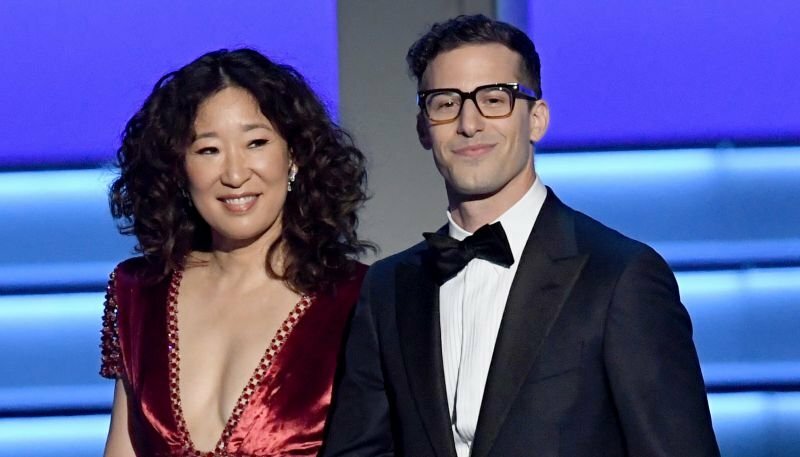 The Hollywood Foreign Press Association has announced that Sandra Oh, star of the critically acclaimed BBC America drama series Killing Eve and Andy Samberg, star of NBC’s Golden Globe-winning comedy Brooklyn Nine-Nine, will co-host the 76th Annual Golden Globe Awards. The three-hour telecast will air live on NBC coast to coast Sunday, January 6 at 8 p.m. ET/5 p.m. PT from The Beverly Hilton. The Golden Globes serve as the official kickoff to the 2019 awards season. Winners in 25 categories — 14 in film and 11 in television — are voted on by the HFPA.